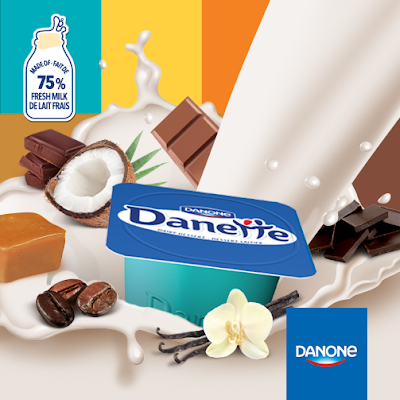 Earlier in 2014, Danone Canada announced its new line of yummy yogurt-like desserts under the name Danette. Well, Danette is not a true yogurt, but a dairy dessert. Read more below! If yogurt is made from milk, which is fermented by bacterial cultures, Danette is more like a dairy dessert containing no bacterial cultures and whose recipe is inspired by classic pastries. 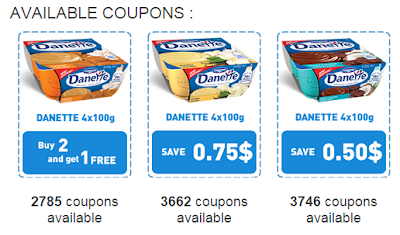 Danone.ca says that Danette is made with 75% fresh milk enriched with vitamin D. So, be sure it provides a good intake portion of calcium and vitamin D.
Since it's a relatively new product, you can easily find coupons as the brand is inviting people to try Danette. The below coupons are available here. You will need to register first with a unique email and order your coupons. The quantities look good, but hurry up to secure your batch of coupons. 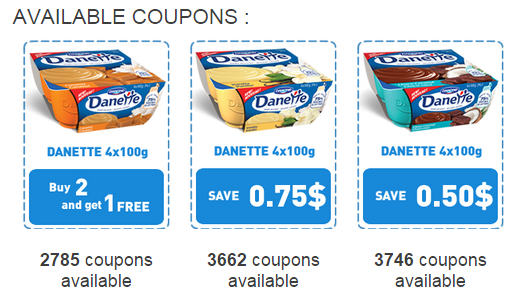 Danette announced all its coupons on its Facebook page. Join it to be in the know about all new promotions.